This article describes how to take one of your existing eClassLive recordings and run a process that converts it into an offline video file. This type of file could be shared directly with specific people (for example using google drive) or uploaded into a media streaming service such as YouTube or Kaltura. 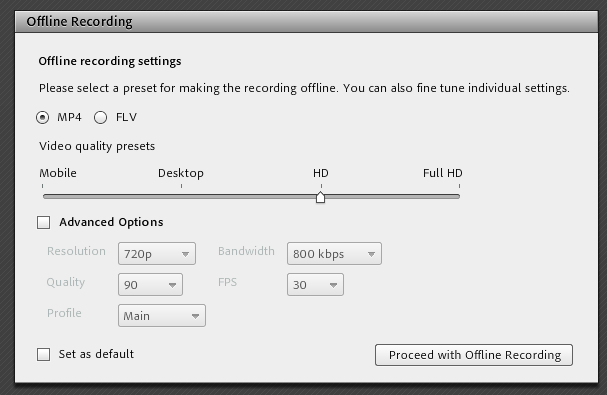 Then select the recording that you want and click Make Offline. This will launch eClassLive in recording playback mode. 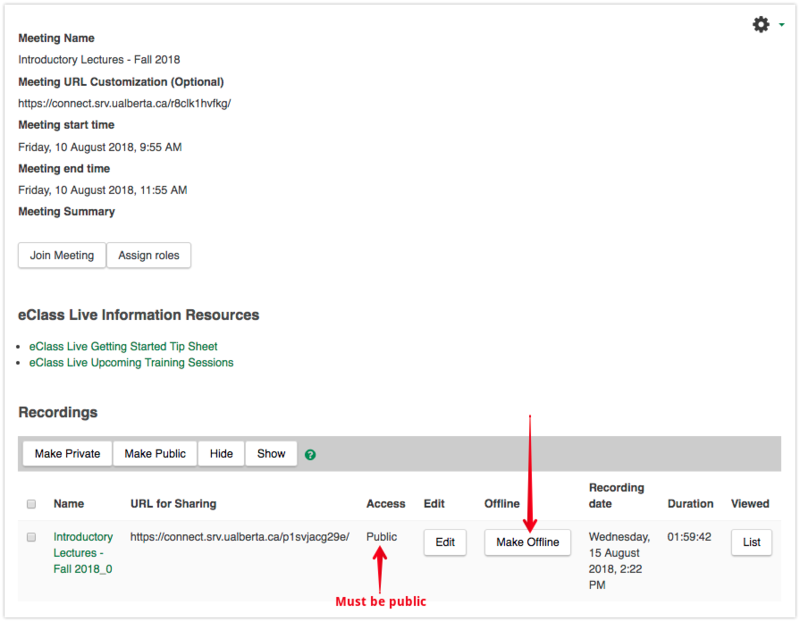 Note that the recording must be public to convert it offline (for more information see Managing eClassLive Recordings) and the Adobe Connect Add-in is required for offline conversion - if it is not already installed on your machine see Using the Adobe Connect Add-in. Once the recording interface is launched, you will see a description of offline recording and recommendations for best performance. In addition to the listed recommendations, some audio problems have been reported in offline recordings when minimizing or re-sizing the connect interface. 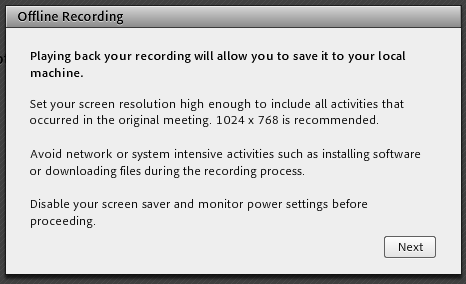 After clicking Proceed with Offline Recording the recording playback and conversion will commence. This occurs in real time and will take as long as the recording runs for. Once complete, there will be a link to the converted file.